SUMMERTON, S.C. (April 7, 2018) – Pro Ronnie McCoy of Lamar, South Carolina, brought a five-bass limit weighing 26 pounds, 2 ounces, to the weigh-in stage Saturday – his second 26+ pound limit of the tournament – to win the Costa FLW Series Southeastern Division tournament on the Santee Cooper Lakes presented by Bass Pro Shops. McCoy’s three-day total of 15 bass weighing 73 pounds, 8 ounces, was enough to earn him the grand prize package worth $93,500, including a brand new Ranger Z518C boat with a 200-horsepower Evinrude or Mercury outboard. McCoy said he used a homemade ½-ounce white double willow leaf spinnerbait with a white Black Flagg Slikk Shadd trailer and a white Z-Man/Evergreen Jack Hammer ChatterBait with the same Slikk Shadd trailer to target bass feeding on shad near cypress trees. Following the morning bite on Thursday, McCoy said he went sight-fishing and ended up catching the largest bass of the tournament. On Friday, McCoy followed the same schedule but was only able to catch two small fish from beds. On championship Saturday, McCoy abandoned sight-fishing altogether and stayed above I-95, fishing the cypress trees to finish out the tournament. McCoy’s 9-pound, 9-ounce fish that he weighed on Thursday was the biggest of the tournament in the Pro Division. For his catch, McCoy earned the day’s Boater Big Bass award of $300. Spencer McNeill of Ladson, South Carolina, won the Co-angler Division and a Ranger Z175 with a 90-horsepower outboard motor. McNeill earned his win with a three-day total catch of 11 bass weighing 42 pounds even. Bud McKelvey of Knoxville, Tennessee, caught the biggest bass of the tournament in the Co-angler Division Thursday, a fish weighing 8 pounds, 12 ounces that earned him the day’s Co-angler Big Bass award of $200. The Costa FLW Series on Santee Cooper Lakes presented by Bass Pro Shops was hosted by the Clarendon County Chamber of Commerce. 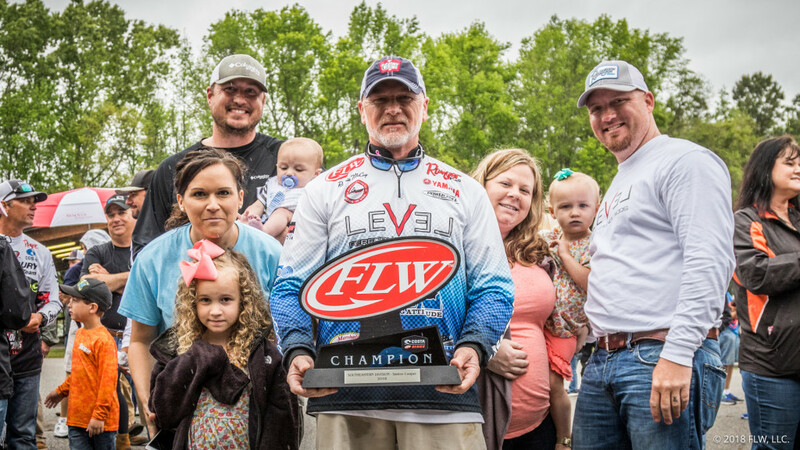 It was the third and final FLW Series Southeastern Division tournament of the 2018 regular season. The next Costa FLW Series tournament will be the Central Division opener, held April 19-21 on Table Rock Lake in Branson, Missouri and is presented by Lowrance. For a complete schedule, visit FLWFishing.com.